The City of Austin might ban the thin plastic and paper bags offered at checkout counters beginning in March 2013 a year earlier than expected and scrap plans to require retailers to charge a fee for such bags in the meantime. Austin Resource Recovery , the city’s trash and recycling department, has written several drafts of the ban, most recently proposing that retailers charge a fee of 10 cents per single-use bag or $1 per transaction starting in March 2013 before the ban took effect in March 2014 . But on Thursday, Austin Resource Recovery Director Bob Gedert told the City Council that he now thinks skipping the interim fee and enacting the ban sooner would simplify things and prevent disputes between customers and cashiers over how many free, disposable bags the customer needs. The council is slated to hold a public hearing and vote on the ban March 1. After hearing Gedert’s presentation Thursday, a few council members questioned whether the ban should apply to paper bags as well as plastic. Under the proposed ban, retailers could offer only reusable bags, defined as those made of cloth or durable materials, or thicker paper and plastic bags that have handles. The city of Pecos recently gave preliminary approval to a ban of its own, while the city of Midland will discuss the idea in March. Other cities – Brownsville, South Padre Island, Fort Stockton – have adopted similar bans, with varying approaches that include charging fees for single use bags, requring plastic bags to be compostable, and so forth. I don’t know that there’s a single right answer, and it may well be that some combination of requirements will work best. There’s a lot of experimentation going on, so hopefully we’ll learn more. And hopefully the city of Houston will eventually get on this bandwagon. There’s a lot of good we could do by pursuing this. The City Council will vote Aug. 4 on a resolution from [Mayor Lee] Leffingwell and Council Members Mike Martinez and Chris Riley that would direct staff members to propose a scope for the ban and a timetable for phasing it in. Staff members would have to present a plan to the council in November. City staffers will work with retailers and other stakeholders to write that plan, the mayor said. Details such as whether small retailers should be exempt, what penalties retailers could face for not complying and when the ban should take effect will be worked out over the next four months, he said. Leffingwell said he thinks paper bags should still be an option at checkout counters because they’re included in Austin’s curbside collection program for recyclables and they don’t gum up recycling machinery as plastic bags do. But he said retailers may want or need to charge a fee of a few cents per paper bag to compel customers to get in the habit of bringing canvas or reusable bags. The mayor said he would prefer that compostable plastic bags not be allowed because they can be tough to distinguish from other plastic bags, which might make a ban difficult to enforce. Leffingwell said he expects there will be exceptions to the ban, such as allowing grocery stores to put fish and meat products in plastic bags at checkout counters. Only a handful of other U.S. cities have enacted bans on plastic bags, including Brownsville, San Francisco and Portland, Ore., which passed a ban last week. Besides Brownsville, South Padre Island has banned plastic bags, while Fort Stockton has a ban that will take effect in September. The Lege had a couple of bills proposed that would have preempted these local ordinances, but neither got a vote in either chamber. Austin had tried to ban plastic bags in 2008 but settled instead for a voluntary program that aimed at reducing their usage by 50%; Leffingwell says that only a 20% reduction was achieved. I’ll be interested to see what they come up with. I hope it succeeds and becomes a model for other Texas cities to follow. More from Mayor Leffingwell is on BOR. Can we take a step forward without also taking one back? From last week’s Texas Tribune on the subject of plastic bag recycling. On Tuesday the Senate’s Committee on Natural Resources heard testimony on a bill sponsored by the committee’s chairman, state Sen. Troy Fraser, R-Horseshoe Bay, that would require large retailers like Wal-Mart to have well-labeled bag recycling canisters in their stores. This afternoon the House’s Environmental Regulations committee heard testimony on a similar bill, sponsored by Rep. Kelly Hancock, R-Fort Worth. “It encourages more eco-friendly behaviors,” said Hancock, who said that plastic bags cannot be recycled at curbside. It was a “free market-based solution,” he emphasized, that would result in more bags being recycled and made into items like benches or flower pots. Environmental groups, however, oppose the bills because a clause at the end of both would “preempt” local rules that are in conflict with the bill. They fear this would prevent cities from banning the bags outright. Already, Brownsville has instituted a plastic bag ban, which took effect in January, and two other locations — Fort Stockton and South Padre Island — have approved bag bans that will come into effect in the coming months. “We shouldn’t tie the hands of local communities trying to reduce solid waste,” said Luke Metzger, director of Environment Texas, in an email. Metzger did not testify but opposes the bill. Fraser said that the bill aimed to bring a “transition” period for plastic bags. “We’ve got plastic bags in the system and we’re moving toward trying to eliminate them,” he said. 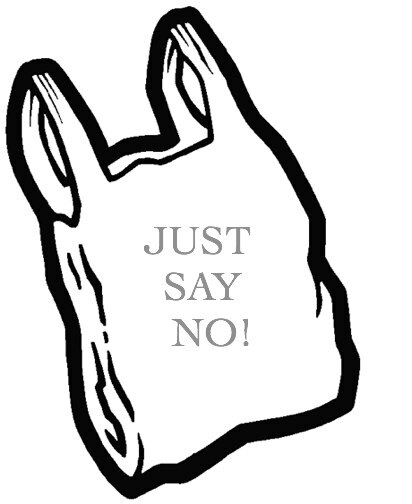 But Sen. Kel Seliger, R-Amarillo, noted that there was “nothing in this bill that eliminates plastic bags in the waste stream,” and he feared that cities wanting to ban bags would be preempted from doing so under the bill’s language. Fraser said the three cities with bag bans would not be preempted, but it appeared that other cities that moved to ban bags in the future would be preempted. Large retail groups like Wal-Mart and the Texas Restaurant Association back the bill, and several bag manufacturers also testified in favor. I’ve noted the Brownsville and South Padre bag-banning efforts; Fort Stockton was news to me. Fraser’s bill is SB908; it was approved by the committee and is on the intent calendar for tomorrow. Hancock’s bill is HB1913; it’s still in committee. While there are times when it makes sense for the state to establish a single standard for something and in doing so override what cities have done, this isn’t one of those times. I’m confident that this provision is in there to get support from those large business interests. I’d prefer the Lege take no action at this time than take a step to prevent other cities from following Brownsville or South Padre or Fort Stockton’s example. Let’s let there be some experimentation to see what works best, and let’s leave some flexibility in place for the future rather than impose a one-size-fits-all solution. We should have bag recycling dropoffs at these locations, but we should be allowed to have more than that if we want it as well. Buoyed by a weeks-old law in nearby Brownsville, South Padre Island leaders Wednesday made the vacation hot spot the next Texas town to restrict the use of single-use plastic bags. The unanimously approved prohibition against using plastic bags at points of sale becomes mandatory Jan. 1, 2012. Between Feb. 1 and then, merchants are asked to comply with a voluntary ban. The measure was championed by a group of surfer-activists, said Alita Bagley, the city councilwoman who introduced it early last year. “Surfer-activists”. Who knew we had such things in Texas? Unlike the Brownsville ordinance, this one allows for compostable plastic bags, which if nothing else should make life a little easier for folks who use their grocery bags to clean up after their dogs. Kudos to South Padre for taking this step. We’ll see who follows next.